In attendance were Robert, Joe, Patrick (in AZ via Skype), Tom, John D., and Brad. As usual, we gathered to enjoy a recently recommended cigar and give our opinion on it by holding a 'group-tasting' following dinner. Once again, as he did back at herf #27, host John fed the guys his famous mesquite-smoked chickens this time featuring a secret Memphis rub. The guys brought a bevy of appetizers to feast on before the cavernous smoker was cracked open. John also threw in some previously-smoked salmon, as well as salad & buttermilk biscuits and all was complete for a memorable feast. Our selection for this herf was the Arturo Fuente Rosado Sun Grown Magnum R54. Made in the Dominican Republic at Tabacalera A. Fuente y. Cia., it measures 6 ¼ inches by 54 ring gauge. This corona gorda is a nice, hearty-looking handful with a subtle, light-brown, Ecuadorian wrapper that exudes a sense of mild strength. The R54 holds a current published rating, from Cigar Aficionado, of 87 (Jan, 2010). It should be noted that the other two vitolas in this line did receive higher ratings from CA. Carlos Fuente Jr. launched the line in December [of 2009] as a trio made with old Ecuadoran Sumatra wrappers, grown by the Olivas in Tampa, Florida. Fuente said the leaves were eight to 10 years old. "We set those wrappers aside when we first created the Sun Grown line," he said. These wrappers are not only old, but are from much lower on the plant, the second and third primings, than the traditional primings that he has used in the past. The three original sizes are Vitola Fifty-Two, which measures five inches by 52 ring gauge, Vitola Fifty-Four, 6 1/4 inches long by 54 ring, and Vitola Fifty-Six, 5 5/8 by 56. Following CA's 4-part rating system (Appearance & Construction, Flavor, Smoking Characteristics, and Overall Impression) we undertook this tasting at John’s new house, seated out on his back deck, overlooking Lake Washington. What a handsome looking cigar, both the band and the wrapper. As you can tell by the 93% awarded in the Appearance and Construction category, this is one nice looking and well-made stick. Hats off to Carlito on a job well done. It’s a pretty good performing cigar too. The norm was a steady, even burn and a long bright ash bearing its own visual appeal. Plentiful smoke output was also appreciated among our cigar tasters. A couple didn’t burn so well, but hopefully those were mere anomalies. The start is mild. The most reported identifiable flavor among our group was nuts. Some almond, some chestnut – or simply roasted nuts, generally speaking. Mid-way, things sweeten-up a bit. It was subtle, like a blonde clover honey and somewhat intermittent. Patrick detected something a little clearer, butterscotch, he thought. A pleasant sense of white pepper was barely noticeable later on, in the latter third, along with some leather. This was a nice break from the fuller-bodied cigars we’ve been enjoying this year. A couple of us found it too mild (lacking distinction) but still, it’s worth experiencing the subtlety of flavors and ease with which you can pass the time in relaxation with this mellow blend. After throwing out the highest and lowest, then averaging the remaining scores, The Cohiba Club's official rating for the A.Fuente Rosado SG Magnum R54 is 87. An excellent cigar. 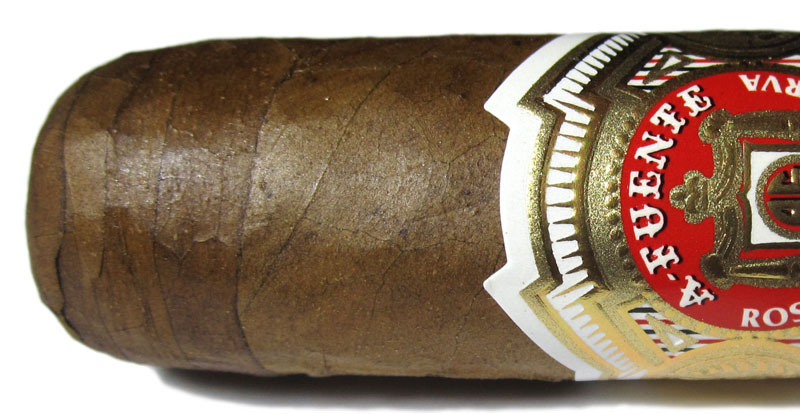 A very nice cigar which we recommend for beginners or those just wishing to try the lighter side of Arturo Fuente. 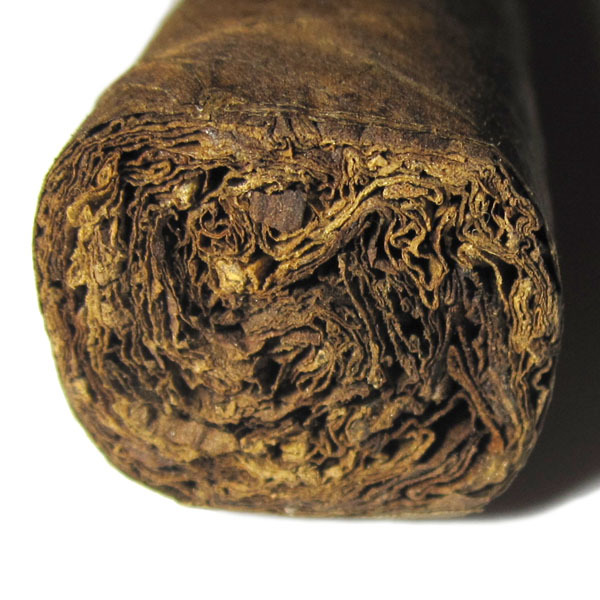 Pick up a few at your local tobacconist, if you can find them, that is. See you at the next herf, October 3rd.